Retaining all the beloved qualities of Huston Smith's classic The Religions of Man and the current fully revised and updated The World's Religions, this stunning pictorial presentation refines the text to its wonderful essentials. In detailed, absorbing, rihly illustrated, and highly readable chapters on Hinduism, Buddhism, Confucianism, Taoism, Islam, Judaism, Christianity, and primal religions, we find refreshing and fascinating presentations of both the differences and the similarities among the worldwide religious traditions. The approach is at once classic and contemporary, retaining all the empathy, eloquence, and erudition that millions of readers love about the earlier editions, while being edited and designed for a contemporary general readership. This delightful marriage of winsome text and remarkable pictures vividly brings to life the scope and vision of Huston Smith's expertise and insight. 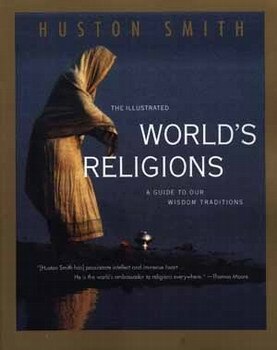 "If one buys only one of the number of recent introductions to world religions, this should be it." "Intelligent, clearly written . . . reveals the spirit of each faith." Huston Smith is widely regarded as the most eloquent and accessible contemporary authority on the history of religions. A leading figure in the comparative philosophy of religion, he has taught as Washington University, MIT, and Syracuse University. He currently teaches at the University of California, Berkeley.